Turkey does not plan to move its infantry to Syria, the country's defense minister said Wednesday, adding support for the Free Syrian Army as part of Operation Euphrates Shield would continue. Speaking to reporters in central city of Eskişehir, Fikri Işık said: "We are providing and will continue to provide all kind of needed support for the Free Syrian Army (FSA), but as of today we do not have any plan to participate in the operation with our infantry." Işık said Operation Euphrates Shield would continue until "Turkey guarantees its safety." The minister said if guaranteeing Turkey's security meant going as far south as Syria's Al-Bab city, approximately 30 kilometers (19 miles) from the Turkish border, that would happen. However, Işık said Turkey's plan for the moment was to do the job with FSA elements instead of sending Turkish infantry. "We are not thinking of participating in the operation with our infantry. 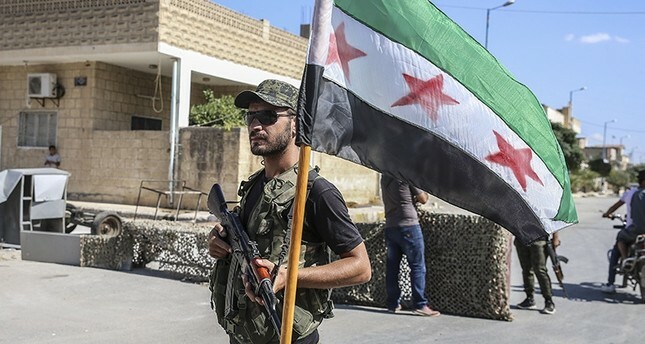 The participation of the Free Syrian Army is increasing with each passing day. These lands are the lands of these people," he said. The minister said Turkey's aspiration was that the Free Syrian Army and "moderate opposition" clear out Daesh and the YPG. Operation Euphrates Shield began on Ag. 24 and saw FSA fighters, backed by the Turkish Armed Forces, take the city of Jarablus from Daesh. A total area of 900 square kilometers (347 miles) of northern Syria had been cleared of terrorists as of Monday this week, the Turkish military has said. Turkey has said Operation Euphrates Shield is aimed at bolstering border security, supporting coalition forces and eliminating the threat posed by terror organizations, especially Daesh. The operation is in line with the country's right to self-defense borne out of international treaties and a mandate given to Turkey's armed forces by parliament in 2014, which was extended for another year in September 2015.